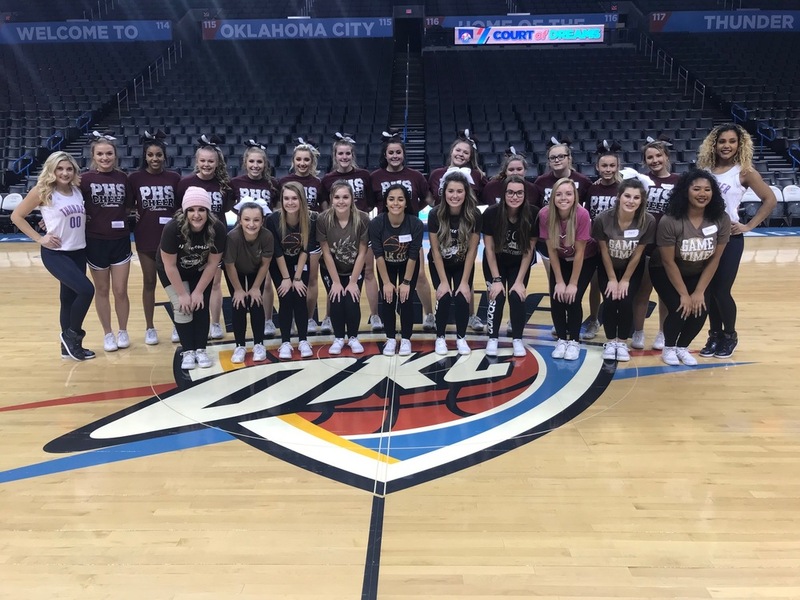 The Pocola HIgh School Cheerleaders traveled to Oklahoma City on November 14th in order to attend a cheer and dance clinic with the OKC Thunder Girls. Team members were taught dance and cheer skills and were able to meet with the Thunder Girls and discuss the requirements and demands of being a professional cheerleader. After the clinic the team was invited to perform thier dance routine during Thunder Prime Time before the Thunder vs. Knicks game.